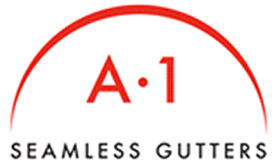 Improve your home's structural durability with products and services from A1 Seamless Gutters. We are based out of Niantic and Old Saybrook Connecticut. We are family-owned-and-operated business since 1977. Charlie Prevost and his wife Vanessa started the company in 1977. Their son, Shawn Prevost, is now the owner of the company. He began working with his dad loading trucks and preparing material for the day's jobs each morning before Middle School. Shawn then began to install gutters, learning the business from the ground up. Today you can meet Shawn when he comes out to provide you with a free estimate, or you may even see him at your job completing your installation! Our entire team, Melissa in the office is always ready to help with any questions you may have, our well trained, attention to detail and customer oriented installers and Shawn want you to be fully satisfied and come back to us year after year for all of your gutter needs! We install, clean, and repair gutters for residential and commercial properties. We install 5" and 6" seamless gutters that are available in a variety of colors. Our seamless gutters are made on-site to perfectly fit your home or business. We also offer copper gutters in 5" and 6" and half round gutters so you can achieve the perfect look for your home. Whether we are working on a condo, church or a residential home, our team always gets the job done right. As a second-generation owner, Shawn Prevost learned at an early age to respect and value each customer. Our crew members are always courteous, and they clean up when the installation is finished. Hire a company that is respected, efficient, and generous. We are fully licensed and insured to work in Connecticut. Our license number is 0565265.